Amelia Lockheart can’t walk, but she can fly. 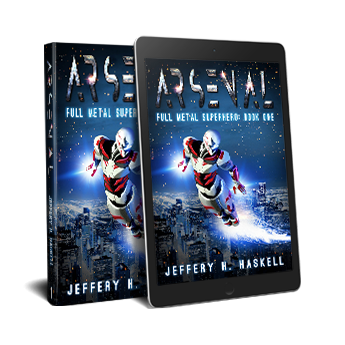 As the armored superhero–Arsenal, she has the power of a small army at her disposal. Fourteen years ago her parents disappeared after a horrific wreck which left her wheelchair bound. With thieves salivating to steal her armor, and supervillains trying to kill her, Amelia must learn to trust her new team if she wants to survive long enough to learn the truth.